So You Think You Can Mom? : Disney FROZEN Party on Club Penguin Island! Disney FROZEN Party on Club Penguin Island! 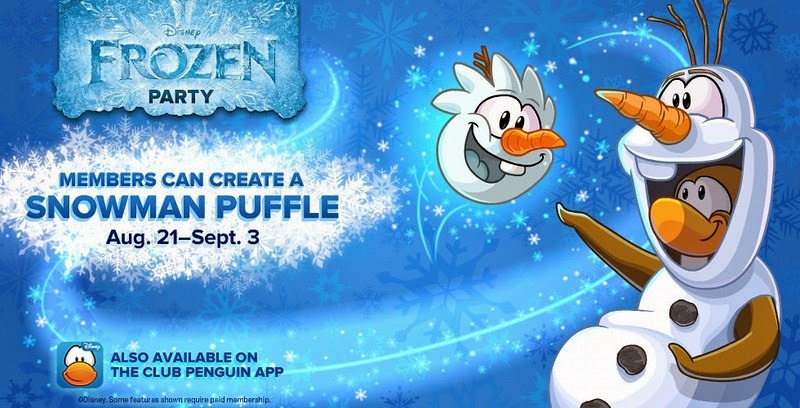 Disney Club Penguin is bringing the magic of “Disney’s Frozen" to Club Penguin Island from August 21 - September 3. During the Frozen Party, members will be able to dress up like their favorite characters from the film, including Olaf, Sven, Anna, Elsa and Kristoff.